Physics is the branch of physical science that traditionally deals with matter, energy, force, and motion. These concepts can be applied to virtually any area of the physical sciences; therefore, physics is often considered to be the most fundamental branch of science. Indeed, according to reductionist thought, all other branches of science are specialized subdivisions of physics. Physics can be broadly divided into two major categories: classical physics and modern physics. Physicists generally take one of two approaches to their research: they either practice experimental physics or theoretical physics. Most kinds of wave behavior are also considered to lie within the classical domain. Therefore, the studies of sound (which may be considered a subset of mechanics) and the wavelike nature of light (a subset of electricity and magnetism) are classical pursuits. One trouble with this distinction is that electromagnetism of the 1860s is a relativistic theory. In modern terminology, magnetism is a relativistic effect of electricity. Ancient Greek scholars, such as Democritus and Aristotle, thought of the material universe as being composed four different elements--earth, air, fire, and water. Motion and interactions between objects were explained by the concept of a "natural state" for each element. Bodies tended to move towards their natural state, and remained motionless when they attained it. For example, a rock fell to the ground after being tossed in the air because it was composed mostly of earth; as such, it moved toward its natural state at the center of the Earth as much as it was able. Democritus proposed that matter was made of indivisible atoms. The Greeks also made advances in astronomy; Aristotle showed that the Earth was round; Ptolemy developed a geocentric (Earth-centered) model of the solar system; and Aristarchus developed a heliocentric (Sun-centered) model. Little progress in physics was made in Europe during the Middle Ages. However, the scientific tradition of the ancient Greeks continued in Islamic regions during this age. 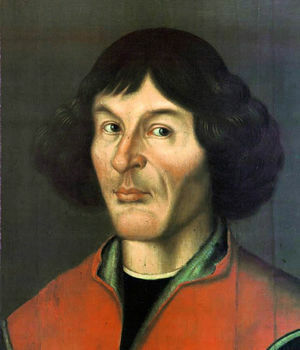 Advancement in physics occurred in the fields of optics, magnetism, mechanics and astrophysics. In general, Muslim physicists in this period placed a greater emphasis on experimentation than the ancient Greeks, who placed more enphasis in reason. Ibn Al-Haytam is considered the most important physicist of this period. Islamic influence on science dropped when the scientific revolution started in Europe. As scientific methodology became further developed, the Aristotelian view came under scrutiny. Europe became the leading centre of scientific research by the 16th century. Force and motion had become topics of interest among scientists of the day. Galileo Galilei performed a series of experiments involving rolling balls down inclined planes, and Johannes Kepler found mathematical relations governing the motion of the planet. Isaac Newton was able to explain the results of Galileo and Kepler through the use of three succinct laws of motion and an expression that accounted for gravitational force. Newton also made important contributions to the field of optics and suggested that light consisted of tiny corpuscles (particles). Newtonian mechanics was expanded by several other scientists, notably Pierre-Simon Laplace and Joseph-Louis Lagrange. As Newton's laws became the dominant tool in physical science, they began to be applied to phenomena other than gravitational interactions. During the first half of the 19th century, several laws governing electricity and magnetism were discovered. In the mid-1860s, James Clerk Maxwell unified these individual laws into a single set of equations. Maxwell was able to derive a wave equation from his new set of equations, and found that the speed of the waves predicted by the equation was close to the measured speed of light. Thomas Young had demonstrated in 1801 that light had wavelike properties, but Maxwell's result provided the new insight that light waves were oscillating electric and magnetic fields. Thermodynamics also came of age during roughly the same era. Advances by James Joule, Sadi Carnot, and Lord Kelvin, among many others, led to a better understanding of heat and entropy, and the formulation of the laws of thermodynamics. Later, attempts to relate the behavior of particles on the atomic and molecular level to the properties of large aggregates of such particles led to the development of statistical mechanics. By the close of the 19th century, the study of physics was widely thought to be essentially complete, with the exception of only a few "loose ends"—minor unsolved problems to be dealt with. As a solution to the so-called ultraviolet catastrophe problem, which involved light emission from hot, dark objects, Max Planck proposed in 1900 that the sources of light could be represented by small individual oscillators. Planck referred to the individual oscillators as quanta. In 1905, Albert Einstein published a heuristic explanation for the photoelectric effect problem: light could be thought of as being composed of very small, discrete packets (quanta), as opposed to the classical representation of light as a collection of waves. By the end of the 1930s, quantum mechanics—the name given to the new theory that applied to matter and energy on atomic scales—was well-established. Other physicists began applying the theory to more specific aspects of physics, resulting in quantum mechanical descriptions of electricity and magnetism, the weak and strong atomic forces, condensed matter physics, and many other areas. Also in the early 1900s, Poincare published his discovery of what became known as the special relativity, which gave new insights on the relation between space and time. Others later extended the concept to non-inertial reference frames, which resulted in the general theory of relativity, an improved description of gravitational interactions. Like all other modern sciences, areas of interest in contemporary physics encompass an enormous variety of general and specialized subjects. Today's professional physicists can generally be categorized into two types: theoretical physicists, who are trained extensively in mathematics and work to develop or enhance physical theories; and experimental physicists, who obtain and analyze data in laboratory or laboratory-like settings. Theorists and experimentalists often collaborate in attempts to reconcile theoretical predictions with experimental results. Both types of physicists conduct research on a plethora of unsolved problems. Some of the active areas of research on fundamental universal laws are listed below. The Standard Model of particle physics has been extremely successful insofar as it has been tested; particle physicists are working to test it at higher energy levels. Evidence suggests that the matter in the universe that humans can currently detect directly is only a fraction of the matter that actually exists. Attempts to discover the nature of the as-yet-undetectable dark matter are underway. The universe is known to be expanding at an accelerated rate. Such acceleration requires energy, but the form and source of this dark energy is not well-understood. General relativity predicts the existence of gravitational waves and their discovery was announced in early 2016. Due to the weakness of the gravitational interaction, extremely sensitive detectors are required. The LIGO project is an example of current efforts to detect such waves. Condensed matter physics, which is the study of the macroscopic properties of matter, and is fundamental for the development of new materials. This page was last modified on 7 November 2016, at 19:28. This page has been accessed 89,625 times.